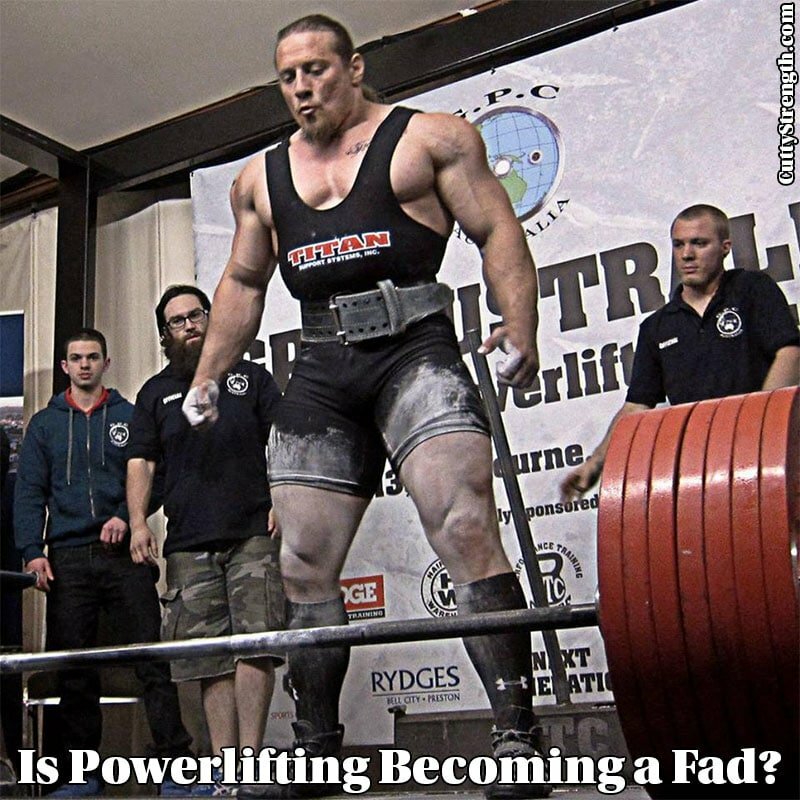 Is Powerlifting Becoming A Fad? I’ve always had my heart set in powerlifting but only recently started gearing the majority of my posts towards it. He hits on the point of powerlifting growing and more content being produced. There is a problem with inexperienced people putting out seemingly definitive content when they do not have enough experience to accurately convey the information. Well, is powerlifting becoming a fad? I’m not a huge fan of the word fad, I think of fad diets like cabbage soup diet or the Chipotle diet, both ridiculous. But I think powerlifting is becoming a fad in the sense that there is huge growth in the sport. There are new powerlifting related channels popping up on YouTube, and new strength focused blogs and Facebook groups being created daily. This is great for the sport because it is growing but like Candito said, there are a lot of inexperienced people claiming definitive things that further facilitate poor advice without proper knowledge. The problem that I see is a lot of “you must ___” being claimed, with no knowledge under the bar or even scientific knowledge. What does that mean for the sport? I think that powerlifting as a sport will continue to grow and I believe that it will evolve into something much bigger than it is right now. Most “outsiders” view powerlifting as boring or senseless, when in actuality being at a meet is just as exciting as being at a football game. I agree with Candito that with some marketing changes, some shifts in the ways we present the sport, and with some time I feel that powerlifting will be the sport I’ve always wanted it to be. If the right changes occur to the sport alongside of it growing like it is, I see it becoming a widely recognized and lucrative sport. What needs to change in powerlifting? I would love to see more unity in the different federations. My buddy Fred wrote an article about “is powerlifting dying” and I think with a collective movement we can make the sport much more than it is today. By more unity, I mean more uniformed rules, standards of judging, and even combining federations would be great. Another thing that would make powerlifting more appealing is to get you closer to the action with camera work. I know that Bill Carpenter the President of the UPA has experimented with Go Pro cameras and other angles of lifting that give you a more exciting view than a camera on a tripod 10 feet away. I think if you added in camera work that really highlighted the energy and emotions of these lifts it would encourage more people to compete. The feeling in a room of someone who just broke a personal record or even a world record is something you cannot recreate. If we were to take a page out of the X Games book and utilize some marketing and video techniques, we could turn the sport around. I am pleased to see that powerlifting is growing like a fad. Do I think the growth will last? I do, and I’ll do everything I can to make sure it does. I have multiple projects lined up, one of which is to help present to you as much information about everything as I can. I want to get you all of the books, articles, interviews, and scientific studies I can so that you can learn everything about strength training and powerlifting. If you are interested in powerlifting, I would invite you to sign up to my monthly newsletter. I am offering exclusive deals to my newsletter subscribers and I will be offering news in lifting and other things that I won’t necessarily post on the blog. You get my free e-book as a sign-on bonus also. If you have any comments or suggestions, leave them below. Have you ever been to a powerlifting competition?